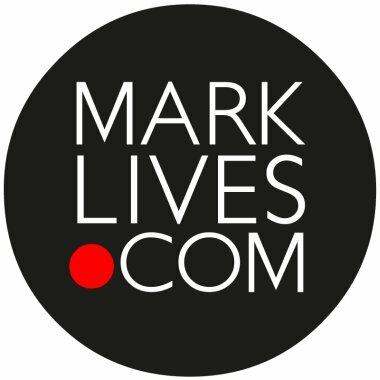 by MarkLives (@marklives) We are continuing to publish emailed tributes to industry great, Keith Rose, who passed away earlier this week. Please see our separate story for examples of his work, accolades and tributes via social media. I write this tribute, through tears, for a man who I, like so many, believe was truly exceptional. Keith occupies the same space in my mind as Dan Wieden and David Droga. I suppose when I really think about working with him, it leaves me on the floor at just how much he taught me. He was, and is, one of my true heroes. Keith had this amazing ability of taking an idea, that you believed was pretty great, and making it dramatically better. While the rest of us measure our contribution in inches, you can measure Keith’s in miles. He had an incredibly clear vision of how a story needed to be told and kept everyone on a project true to that vision. He never got distracted by all the strong opinions, the noise of clients and creatives, unless they were making the work better. This should be the no. 1 character trait in all creatives but I have never met one who had Keith’s vision or ability to hold a whole team to that vision. While most of us run away from complicated problems on a brief, Keith ran towards them and seemed to, almost effortlessly, solve them in an interesting and unexpected way. He created a culture around him where people were challenged and engaged, and made everyone perform at a level they didn’t realise was possible. But I guess the two qualities I valued most in him were, firstly, his loose grip on reality. He was never distracted by petty things like “can we actually do this?” or “is that even possible?” He knew he operated in a world where magic is possible and, so, he did the things some of us can’t even dream of. Secondly, his inability to compromise. How many of us sat on a set with him, half a day past what we had a budget for, while he removed a tree that was killing his shot? Or rebuilt a studio so that the light could be in just that spot? I will miss his dedication to excellence more than I can express in words. In spite of not being very tall, he carried so many of us on his shoulders and lifted us to a height most of us couldn’t even have imagined before working with him. I am so sad he is no longer with us and am broken at the tragic way he was taken from us before he needed to be. I am also reminded that, as I mourn his passing, there are many who were so much closer to him and my love goes out to all of you for your loss. Keith’s unassuming humility, brutal honesty and disarming lack of subtlety — such an undervalued yet devastatingly pure and powerful weapon in today’s shallow world of false news and half-truths — will forever live on in my head and heart as a reminder to stay true. Most pointedly and movingly, I managed to find an old email I’d sent to the maestro on behalf of Net#work, congratulating him on his Hall of Fame accolade. His humble reply made the hair stand up on the back of my neck when I reread it today. I wish the family comfort and strength. Keith Rose was the most-gifted filmmaker I have worked with; it came naturally to him. He couldn’t always explain what he wanted to do or why he was doing it, but he knew what to do and some of the best advertising brains in South Africa had the faith in him to let him do it. He changed the face of advertising in SA and allowed us to compete on a whole different level. Not only was Keith an incredible filmmaker; he was generous in so many ways. He had a profound influence on my life and I owe so much of my success to him. He took me in when I was a naïve 23-year-old, showed me the world and awakened my passion for food, beautiful things and, of course, advertising. Not to mention corrupting me a bit along the way. Keith seldom chose to work with the most-experienced people but instead worked with the young and passionate, people who were inspired by him and totally committed to him and his work. This is why so many filmmakers have been influenced by him. I will always remember the incredible six years we spent together; he was a remarkable person. I’m so sad to hear we have lost such a great hero of filmmaking and creativity. My heart goes out to Keith’s family and the many, many people who loved him so much. I first met Keith at a party in Yeoville, back when production co’s had parties in Yeoville. Depeche Mode or something was thumping out and the air was thick with smoke — ’80s hotbox stuff. I was absolutely in awe of his work with Brian Searle-Tripp, Willie Sonnenberg and John Hunt et al. Suddenly, there he was, the great Keith Rose, just standing there doing what he did best — watching, scrutinising, contemplating. Well, that didn’t make us instant BBFs but at least he didn’t punch me. Working with Keith was always a proper education. Like commercials bootcamp. For a guy who had every reason to behave like a big deal, Keith was an incredibly humble, generous and kind human. Of course, he was incredibly tough, too, but all for the right reasons — he only ever cared about the end result. Everything else was a side show. Keith’s colossal talent helped build businesses, careers, reputations and, not least, a positive, creative image of South Africa in the eyes of the world. Keith’s death is like a punch to the heart, but it’s what he left behind that will live on forever. Keith was a giant of our industry. He pushed all of us, his team, the agency and the clients, towards greatness. He did whatever it took to create spectacular work — not to just get the job done. It is something that I always admired about him, especially in this day and age where what we do has become so commoditised. In my opinion, Keith was not just an amazing director; he was an amazing DOP, producer, art director, gaffer and even an engineer at times, if the job required it. He once needed to put a crane on a heritage site to get the shot. And that was the shot he wanted; nothing else. The city refused permission but this didn’t stop Keith. He got a bigger crane, the biggest crane I have ever seen, and placed it on the other side of the building, off the heritage site, just to get the shot. Keith always reached for the iconic. He was always trying to do something no-one had done before or looked at in a certain way before. His crafting was amazing to watch and he pushed us all to get there. And sometimes when you push things the way Keith did, you fail. On certain jobs, in his efforts to reach the unprecedented, he failed spectacularly. But his epic achievements far outweigh his failures. He would rather have failed in this way than do something ordinary. And that’s what I loved about him. Keith also helped build our industry into what is today; not just the film industry but the advertising industry at large. Personally, he opened my eyes to the way things should be done when I was just a junior in this industry and it forever changed the way I did things. Maybe it’s a bit unfair that, because of him, I expect more out of everyone else who I work with — because I have seen the best in action. And I am very grateful for this. Thank you, Keith, for your role in who I am today. I am sure there are many people out there who would say the same. You challenged us. You supported us. Everything about you was epic. We are all poorer without you. I hope that, in the years that come, we can all hold the bar up to your standards in the work that we create. Your legacy lives on, in all who knew you. Keith played a huge role in changing the course of my life, as he did for so many of the vast Velocity family (past and present), future directors and all filmmakers who were fortunate enough to have witnessed the “professor” at work. He was not like any other film director that I have ever worked with, and I have worked with many. Keith was always special. He was a film genius. I still sit in awe thinking of all that the mighty man achieved and I don’t think there’s any filmmaker out there who does not envy the spectacular array of work and the hundreds of awards that Keith won during his illustrious and magnificent career. He identified good ideas and he made them better. He earned the respect of every advertising boss and every client who understood that, if Keith Rose was interested in shooting their commercial, they were likely to strike gold. Much of his work was iconic, rewarded by his induction into the New York Clios’ Hall of Fame, shortly followed by his induction into the Creative Directors Forum (now Creative Circle) Hall of Fame, and then his Financial Mail Lifetime achievement award, and being listed in the SHOTS Top 100 best directors of all time (worldwide), his induction into The Loerie Hall of Fame, together with his Loerie Lifetime Achievement Award, followed — and, of course, there was his huge haul of Gold Cannes Lions and the scores of Loerie Grands Prix that grew to so many that they were used as doorstops at our two offices. With every award he won, during a career that spanned nearly four decades, the more humble he became. He didn’t like the big stage and he shied from being showered with praise, choosing to rather get on with working on his next project. He never thought of film directing as a job. He looked at it as passionately crafting another work of art. Beyond his genius, Keith, like any successful businessman, did not take to fools; he was a man of few words but, when he spoke, he did not mince any and he would eat you up and spit you out if you did not deliver to his high expectations. This teaching led to the development of the many who worked under him. He always spoke to you, not about you. Underneath, he was a real softie. He always had time for everyone, from the runner to the client. He didn’t like to send messages or emails. He’d rather talk to you face-to-face. If anyone was going through an emotional time, no matter what status you held at Velocity or elsewhere, he’d be the first to call or make a hospital visit in traumatic times. He cared about his people and, beyond that, he cared about the industry and every crew member in it. Not many clients knew how or why Keith Rose made their brands so much better but the simple reason behind it all was because he cared about every single frame in every single scene that he shot. He made sure each 1/25th of a second counted towards making that advert a standout work of art. He would start crafting his projects for months before the camera rolled and never stopped crafting it until the last minute in the schedule. In edit suites, he would work into the early hours of the morning, pushing the editors and colourists to nipping and tucking the cut until he was 100% happy they had tried and tested every best possible way to communicate the story. Many couldn’t keep up with his pace and so many left, all of whom proudly display that experience in their CVs. I think I speak for each and every one of us that had the privilege of watching this genius at his craft, that we cannot thank him enough for what an influence he had on our lives, our careers and most of all for what he did for South African film as a whole. His talent caught the attention of the world and all the industry gained from it in some manner or form, whether you worked at Velocity or not. Velocity was Keith. Keith was Velocity. His showreel attracted the business that he shared with the many film directors, producers and crew. He was proud of the people that poured their guts into building the great brand that Velocity became and, when he left, the company was no more. Velocity just wasn’t Velocity without Keith. There is so much more to say, so many stories and so many incredible commercials to remember him by and remind you of all that he did, but I think everyone needs little reminding of the industry giant that he was and all that he achieved. His legacy will remain in the hearts of all that admired him and I, for one, will be sure to continue mentoring all filmmakers using Keith Rose as the example of how to succeed as a director. He is the benchmark. Our love and thoughts pour out to Marie Louise, his beautiful children and all his family and friends as we say goodbye to Keith and thank him for all he did for so many of us. His work will always remain as a reminder of the genius he was. Keith Rose was the golden director during, what many believe, was the golden age of television commercials. Both locally and globally, he was the go-to guy when you had something special. Almost single-handedly, he dragged South African TV production to a level where it was benchmarked against the best in the world. He was less of a talker and more of a doer. While excited creatives babbled on about their brilliant storyboards, Keith barely said a word. An arched eyebrow or a nod of the head was about the most you could expect. His genius was that he could articulate a complicated idea into a single memorable visual. He spoke in pictures that seamlessly joined together to tell an idea in breathtaking simplicity and beauty. He was a mentor to hundreds of people in the industry — sometimes without him even knowing it. He was impossible to copy but was always held up as the ultimate point of reference. Keith never over-intellectualised or lost himself in the latest buzzwords. His work did the talking. And if you wanted to fiddle with his edit, you’d better have had a damn good reason. Wherever Mr Rose is now, I guarantee he’s perfectly framed. And the lighting? Well, obviously, it’s perfect. 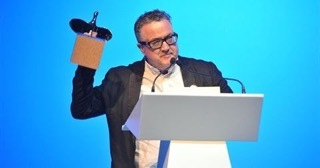 The advertising production community has been plunged into shock and grief today, following the news of the untimely death of acclaimed commercial director and DOP, Keith Rose. 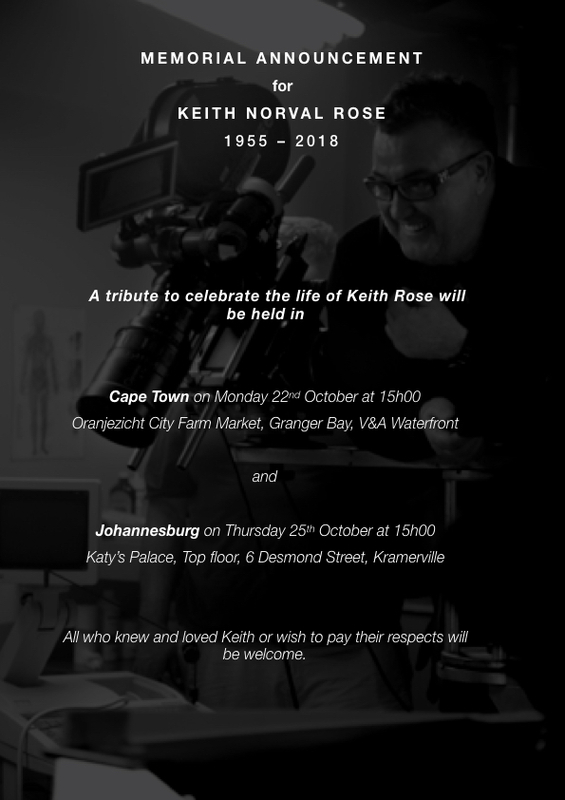 Rose’s commitment to creative excellence, to sharing his tremendous talents and to pushing the boundaries of commercial filmmaking to their limits made him one of South Africa’s most-formidable directors and his career, which spanned over four decades, was celebrated both in SA and abroad. 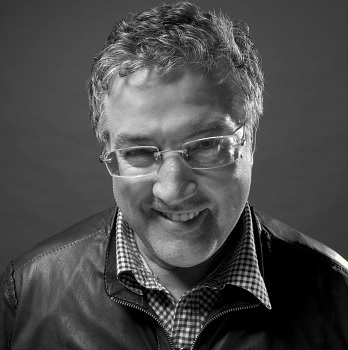 Shots Magazine selected Rose as one of the “100 Advertising People of all Time”, while Campaign Magazine identified him as among the top five directors globally. In addition to being an icon in the industry, Rose’s work often captured the imagination of the public who delighted in the commercials he directed, many of which are now part of advertising folklore. Who can forget the elephants crossing the dessert to “He aint heavy” for IBM or the little white mouse running on the steering wheel of a BMW, which saw Rose inducted into the Clio TV Hall of Fame? While Rose was part of a prolific group of South African directors who put SA advertising on the international map in the ’80s and ’90s, his career did not end there. Instead, he continued to be a creative force in the industry until very recently, and he never lost his unique gift and passion for making great advertising. In addition to being a remarkable and talented director and cinematographer, Rose was also known for giving generously of his time and for mentoring a new generation of directors and producers, who accredit much of their success to working with and learning from him. He was a hard taskmaster but also a good guy with a big heart. Rose’s most-enduring legacy will be that it was he who pushed our industry, and everyone in it, to do more and be more than they thought possible. He was a driving force whom others saw as an example, whom they sought to emulate, and he changed the way commercials are made in SA. His longevity and relevance transgressed generations and will live on through those he inspired. As we pay tribute to Keith Rose, our thoughts and prayers go out to his family, his friends and to our industry, which is feeling the weight of a great loss today. RIP, Keith — we will miss you. To have been in the presence of Keith Rose was to have been in the presence of creative greatness. My career was inspired, and indeed, created by Keith — I was so fortunate to have enjoyed a very special relationship with this man. He pushed me hard, had no time for compromise nor mediocrity; instead, his work filled your head, the screen, your heart. Keith was one of the founders of the South African film and advertising industry that put this country onto the world stage. His vision, his artistry, and the scale at which he operated, was unsurpassed. Not only did he give birth to many of the past and current filmmakers, but all who passed through his door, schooled by him, were indelibly shaped by his vision. The teams he built around a project, from location managers to art departments, lighting teams, editors, animators, were exceptional. When he worked, he weighed in on everything, pushing the creative industry — and, ultimately, the marketing industry to achieve more. Keith, thank you for being you, a one of a kind, delightful and determined human being. Oh boy, Keith was a gift. You gave him a script and he always made it better than you, at least I, ever imagined. I always have this image of him in my mind, of a smiling man, curious eyes, always gracious and kind, no matter how junior or senior you were. He made some of our country’s greatest films. But, more importantly, he bought light and brilliance into every room he entered — with his work, with himself. I wish strength, peace and understanding to his loved ones. Twenty years ago, an industry colleague said this to me about Keith Rose: “Keith is an absolute genius. He can slap a lens of his choice on to the camera, walk it 50 metres down a road, place the camera pointing in the direction he wants it, and know exactly what the shot looks like without having to look through the lens.” I never forgot that description of him. And so, when the time eventually came and we had a board deemed worthy of the man, we called him in. That ad was Allan Gray Beautiful, and by all accounts was the film that redefined us, altering us forever as an agency. I know for a fact that Keith has done this for many a creative and many an agency. He is the central, feisty figure behind so many of South Africa’s most-iconic advertising films and for that we thank and salute him; the grand maestro. From all of us at Picture Tree that have been inspired. Go well Keith Rose. A bundle of pure talent Keith Rose was a giant of creativity and a humble soul. I feel so proud to have been part of his journey and will always remember him for being a kind lovable and generous person.